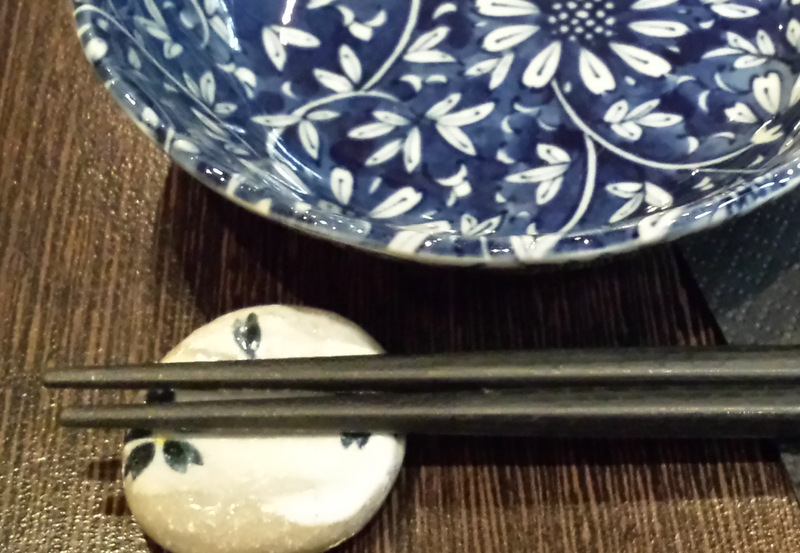 In love again with Japanese food! 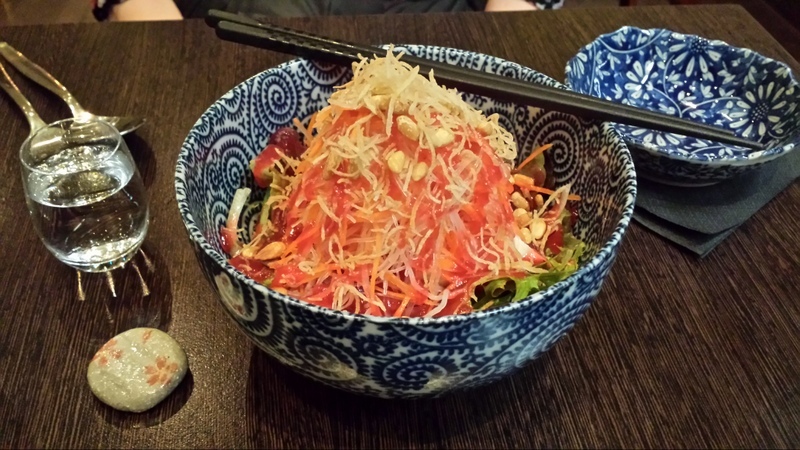 With my recent Italian and Vietnamese obsession, Japanese food had been on the back burner. Over the other side of town for the day and by 6.00 pm the autumnal evening had me planning a pizza and red wine. I took a chance on finding a friend available last minute. 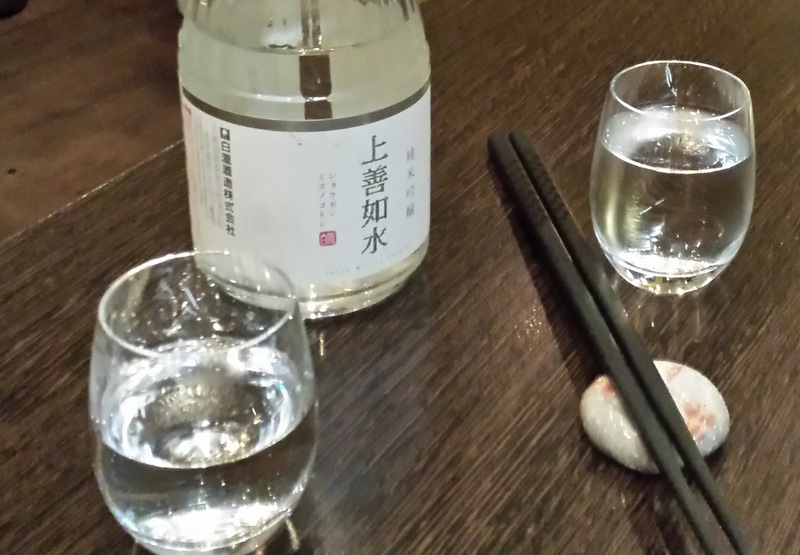 My friend also chose the sake; $24.00 for a small bottle however it was perfect with the food and was served in tiny elegant crystal glasses: a lovely touch. For dessert we had the brown rice tea crème brulee served with diced pear. Not rich in the traditional style, the slightly-crunchy pear was a lovely foil for the brulee. The flavours of the food were lovely and sharing dishes delivered a great taste explosion, matched perfectly by the sake.